A major five-year project has won the prestigious Healthcare Technologies award at this month’s Institution of Engineering and Technology (IET) Awards. ICONIC (Infection response through virus genomics), was a flagship Wellcome Trust and National Institute for Health Research co-funded project, hosted at UCL and now translated into the University College London Hospital (UCLH) Advanced Pathogen Diagnostics Unit. The project (2013-2018) developed the first whole genome sequencing of viral pathogens from a tool used only in basic research to one integrated into routine NHS healthcare services. This has had significant impact in stratifying patients to improve care and in controlling the spread of infectious outbreaks. Viral infections, such as HIV, influenza (flu) and norovirus, are a serious burden to the NHS with influenza pandemics alone costing in excess of £2billion annually. Infectious outbreaks in hospitals are a particular concern due the vulnerability of patients with compromised immune functions, leaving them at greater risk of severe symptoms and death. The ICONIC project combines the genetic data from the virus together with electronic health records to investigate and visualise these outbreaks and help bring them under control. This pipeline was used to successfully support the control of a major hospital outbreak of influenza. The outputs of this work have been adopted into clinical practice and routine healthcare in numerous NHS settings and through various projects, supported by UCL GEO, in four different low-and-middle-income country settings. The 2018 IET Awards were held on 14 November and featured over 400 top innovators from across the spectrum of engineering technology. The ICONIC project won in the Healthcare Technologies category. The project was led from the UCL Institute of Health Informatics and was a truly interdisciplinary effort, with main clinical partners at University College London Hospital, Barts Health NHS Trust and other NHS Trusts, private partners Intel (Health Intelligence Unit) and Illumina, sequencing and bioinformatics input from the Sanger Institute and University of Edinburgh, and collaborative support from multiple other academic institutions. It was funded as a flagship Healthcare Innovation Challenge project by the UK Department of Health and the Wellcome Trust. Yebra G, et al. 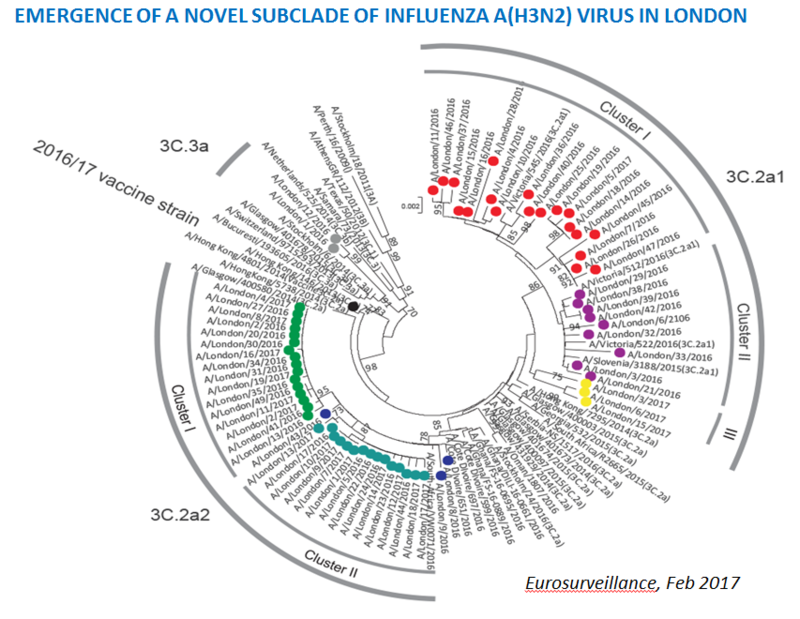 (2018) A High HIV-1 Strain Variability in London, UK, Revealed by Full-Genome Analysis: Results from the ICONIC Project. PLoS One, 13(2):e0192081.